Broad Creek was estabished as a preparative meeting in 1856, having existed as an indulged meeting prior to then. 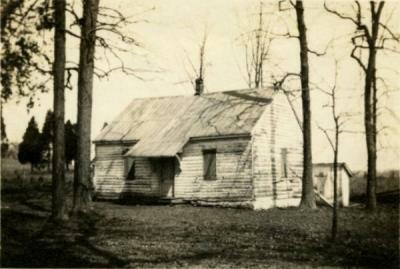 Its frame meeting house, long gone, was built about 1833, was removed in 1968. The burial ground itself remains along modern day Scarboro Road in Harford County, Maryland and is well maintained. A plaque in the grove of trees to the north of the burial ground denotes the original meetinghouse location.